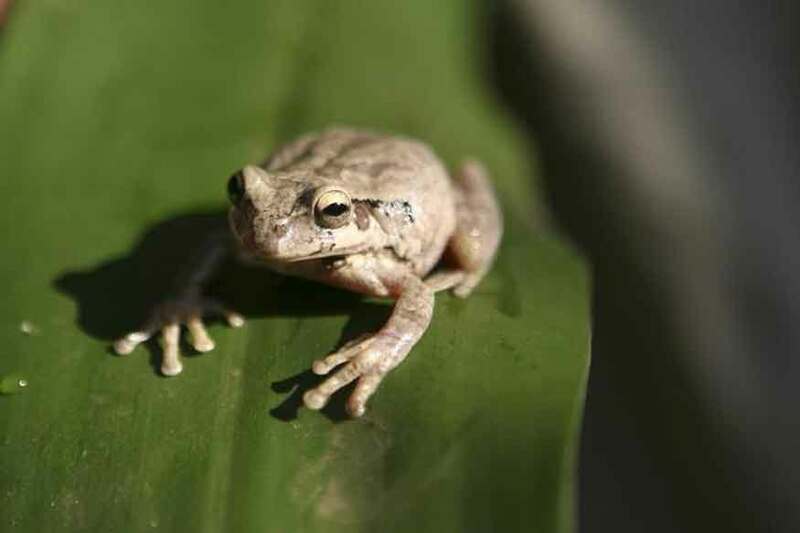 Frogs and toads indicators of healthy ecosystem - SABC News - Breaking news, special reports, world, business, sport coverage of all South African current events. Africa's news leader. Experts say the world is losing frog species at an alarming rate. Frogs and toads are important indicators of the health of the country’s ecosystems. The Two Oceans Aquarium in Cape Town is celebrating these amphibious creatures during Water Week this week to highlight that whatever happens on land impacts the oceans. Experts say the world is losing frog species at an alarming rate. Frogs and toads also play a vital role in keeping eco systems in balance. The Aquarium’s Ayrton King explains the role of these amphibious creatures in the ecosystem. “If you take frogs out of the ecosystem you lose a food source for things like your owl species, your snake species and then if you also lose them out of the ecosystem there is no predator for things like mosquitos and your various insect species – so if they were to disappear you are going to have a complete turn over in the ecosystem and we are going to see a complete imbalance you are going to see a lot more flies around, a lot more mosquitos that carry things like malaria,” says King. This entry was posted on 18 Mar 2019,01:31PM at 1:31 PM and is filed under Sci-tech, Homepage Featured Story Slider. You can follow any responses to this entry through the RSS 2.0 feed. Both comments and pings are currently closed.